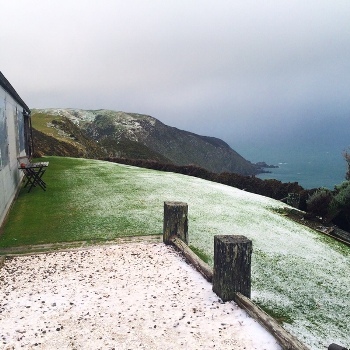 The southerly weather system in New Zealand that brought snow to Otago and Canterbury is now covering much of the country, from the deep south to Gisborne. Snow has closed the main routes through the center of the North Island and drivers using other roads are being warned to take extreme care. MetService has issued a heavy snow warning for the hill country north of Hawkes Bay and said a cold southerly flow was spreading wintry showers over the eastern side of the North Island.